We Supply and Install High quality uPVC double glazing Windows for Homeowners and Commercial Clients in Hitchin, Milton Keynes, Luton and surrounding areas. There are limitless options when it comes to window replacements and improvements and our friendly sales process will guide you in making the choice to suit your home and budget. You may wish to replace an old uPVC window which is showing signs of misting from condensation. Or perhaps you have bought a traditional property which is fitted with older frames and does not yet enjoy the benefits of double glazing. Replacing timber with our wood grain effect uPVC available in a variety of colours. We can also redesign a particular window for you. For example changing a flat window with a bow bay can make a dramatic difference to your living room and create a real feeling of extra space. Heat loss from the home is frequently a concern for our customers. A fifth of all heat loss in a poorly insulated property is through it. Our high quality uPVC double glazing offers the best in modern insulation and can reduce energy consumption by as much as 20%. Newer units will also retain the solar effect of direct sunlight more effectively which can further reduce bills. The Casement style is the most popular choice hinged at one side of the panels and with a secure night venting facility and opening outwards. 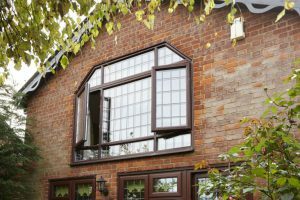 Tilt and Turn windows are popular on the continent and British customers are starting to catch on to their benefits. They open fully inwards allowing for easy cleaning of upstairs windows and in a second operating mode the top of the panel tilts a small distance into the room providing ventilation as well as excellent security when you go out. 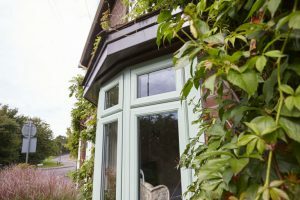 Vertical sliding sash windows offer a traditional look for Victorian style properties and offer the option to also tilt in as well as slide. With our extensive knowledge we can help you make the right choice.